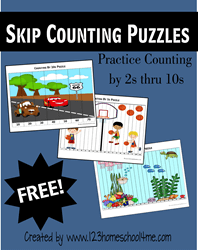 Are you looking for some fun ways to practice skip counting in your homeschool math? Check out my Skip Counting math worksheetsto practice counting by 2s, 3s, 4s, 5s, 6s, 7s, and 8s. Sometimes it’s hard for kids to “get” counting skip counting. And even once kids understand the concept they need to master skip counting to make the transition to multiplication go easier.In these math worksheets you will find fun, themed Skip Counting Paths. 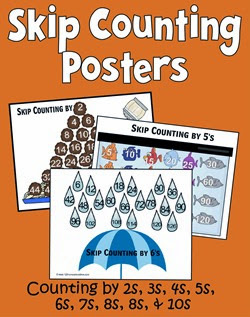 These Skip Counting Worksheets are intended as a supplement to your homeschool math program for kids Kindergarten, 1st Grade, 2nd Grade, 3rd Grade, 4th Grade and more. You can download each pack separately below to ensure you can quickly and easily download the skip counting you need. Each pack has 10 worksheets that are increasingly more difficult. I suggest laminating or sticking in a page protector and using a dry erase marker so you can reuse these worksheets over and over!